If you require transport to the Emergency Department via Private Ambulance this is what you need to do. Please be aware the ambulance is not a 999 / 112 service and therefore may not be able to attend to you in the immediate few minutes of your call. If you require an immediate ambulance response then the appropriate number to dial is 999 /112. 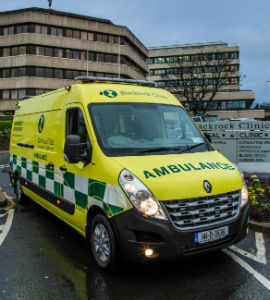 This ambulance will bring you direct to the nearest public hospital Emergency Department.